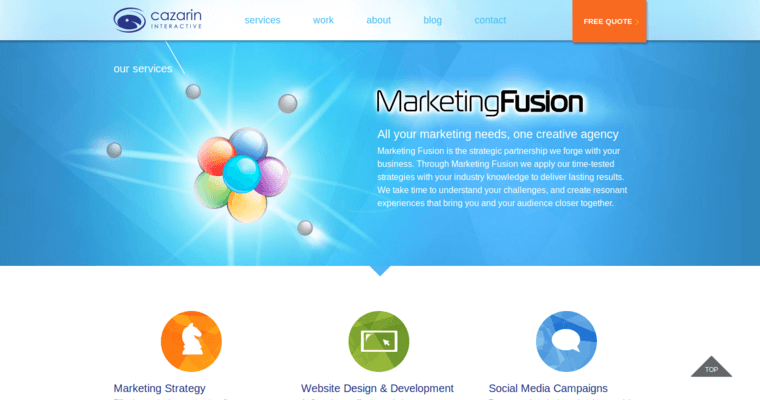 Away from the use of predetermined designs and practices, Cazarin Interactive takes pride in its rank among 10 Best Web Design Firms. 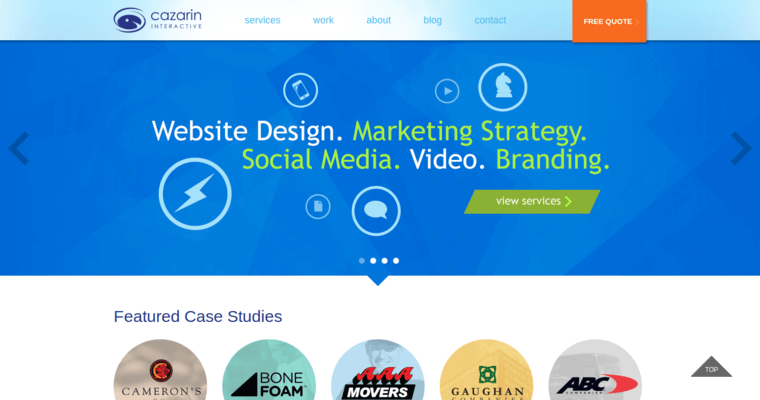 With an impressive history of over 15 years, Cazarin Interactive is a reliable and popular name for its Branding, Video, Marketing Strategy, Social Media, Print Design, and of course Website Design services. 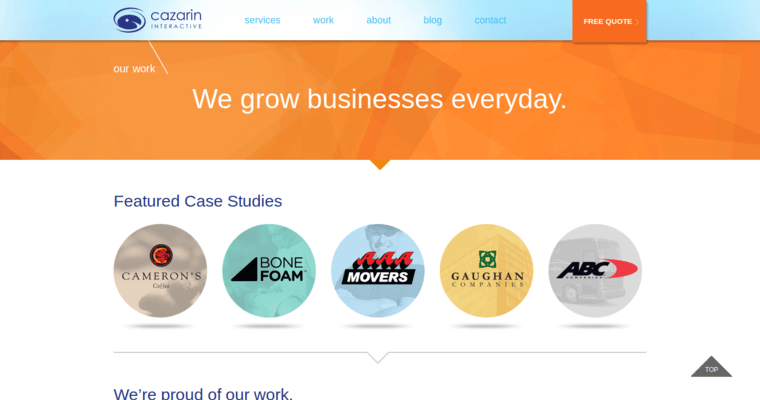 The increasing success of Cazarin Interactive is reflected in its portfolio of over 700 clients as well as the staggering number of over 1000 website launches.